For those who have missed the Four Mile Run conservation series events so far, here is an update on our activities at Four Mile Run Park. 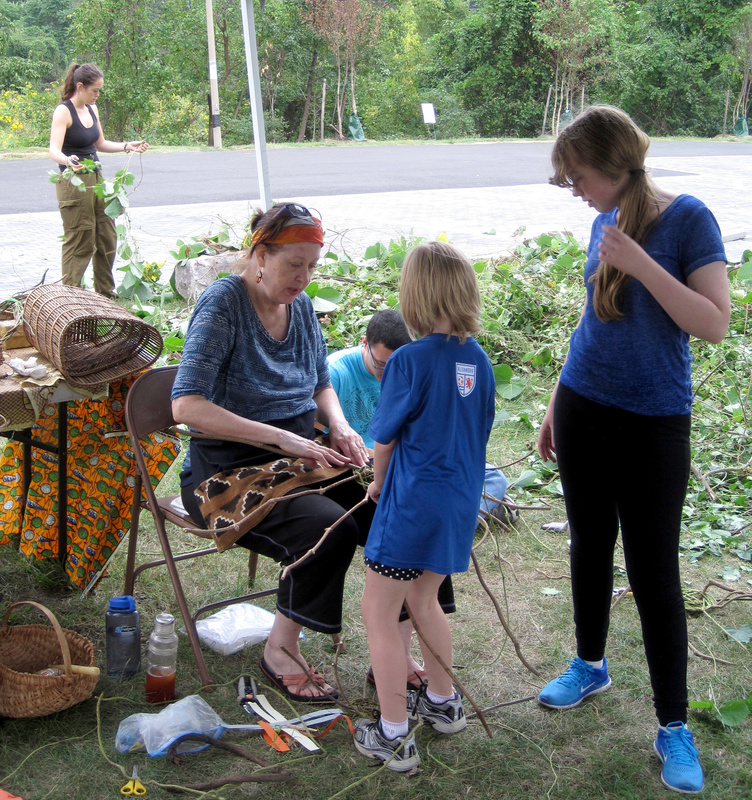 In late September, we had an invasive vine removal and basketmaking event. Volunteers removed kudzu and porcelainberry vines, using the material to create marvelous works of art, with guidance from local artist Karen Brown on a warm and wonderful day out at the park. Then at the end of October, we focused on trees, co-presenting on historic land cover and the forests of the Four Mile Run watershed with Alexandria Natural Resource Specialist Rod Simmons on Thursday, October 27, followed by a tree planting at the Edison Street entrance to the park on Saturday, October 29. 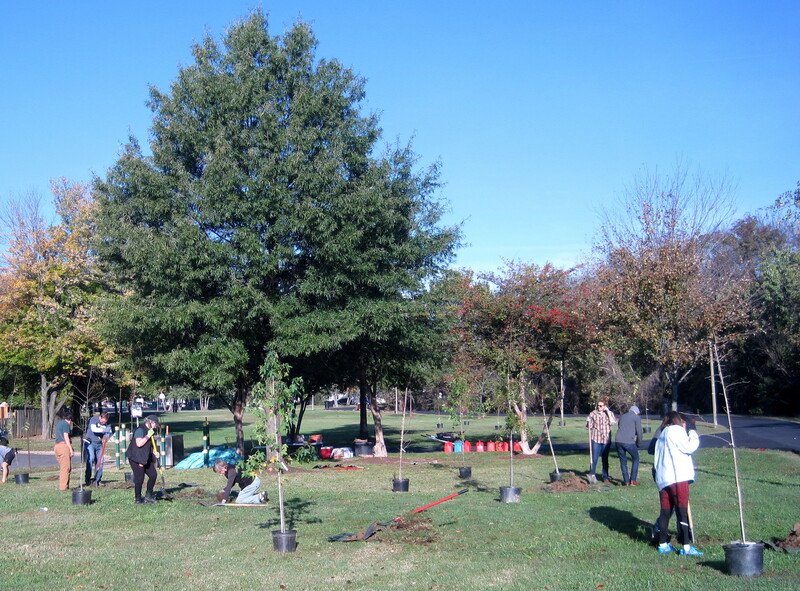 In all, volunteers planted 24 native trees appropriate to the site. These included bitternut hickory, willow oak, pin oak, swamp white oak, sassafras, black gum, sweet gum, American hornbeam, American elm, and black walnut. We look forward to seeing them leaf out anew in the spring! Our final conservation series event centers on the wildlife of Four Mile Run, and we seek the involvement of community members interested in initiating citizen science programs to better understand the wildlife community in the park. Please join us at 7pm on Thursday, November 17 at Jack Taylor's Alexandria Toyota for this final conservation series event. We gratefully acknowledge the 395 Express Lanes Community Grant program for its support of these events and our ongoing work in Four Mile Run Park. it is advised that you should only try to associate with the best in class because it's the matter of your kids future.